To better understand the operation of a Op-Amp Voltage follower (Buffer), we must remember the operation of a Op-Amp non-inverting amplifier. See the diagram below. The Op-Amp Non-inverting Amplifier has a gain given by the formula: 1+ (R2 / R1). If we make R2 resistor value equal to zero and make the R1 resistor value very large (infinity), we have an amplifier with gain G = 1. 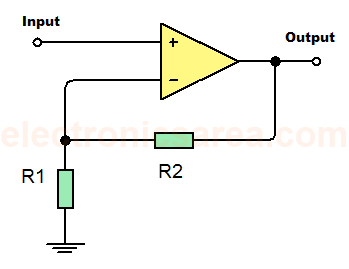 This means that the output signal has the same value as the input signal See the following diagram. 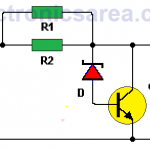 This circuit is a Op-Amp Voltage follower (Buffer). The buffer has an output that is exactly as the input. This behavior may initially seem useless, but has features that help solve impedance coupling problems. The output impedance is very low, just a few ohms. If the input impedance is very high, it does not charge the circuit that is sending the signal, and if its output impedance is low, it can deliver a sufficient amount of current to the circuit receiving the signal. 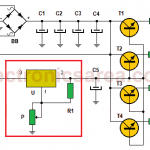 In other words a Buffer requests very little current from the circuit that gives the signal and greatly increases the capacity to delivery current to the circuit that receives the signal.